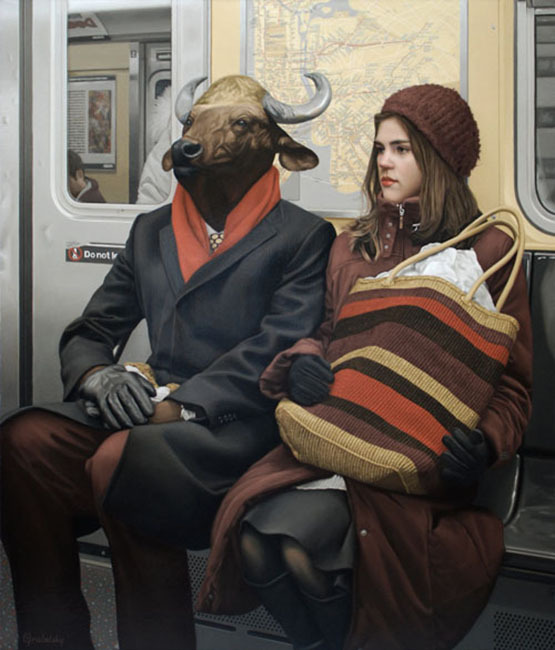 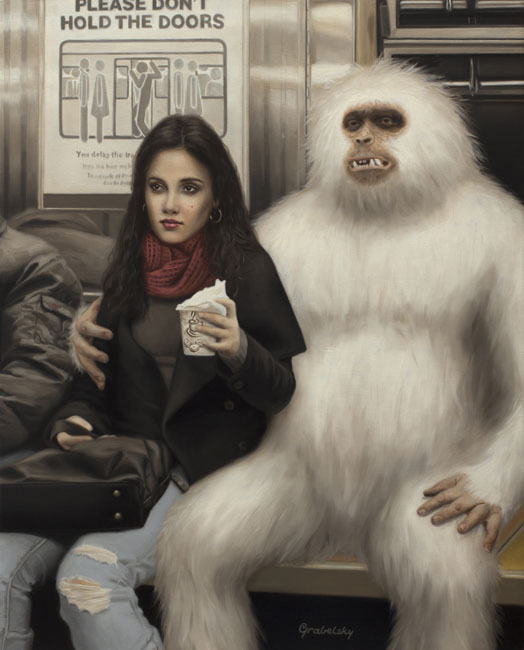 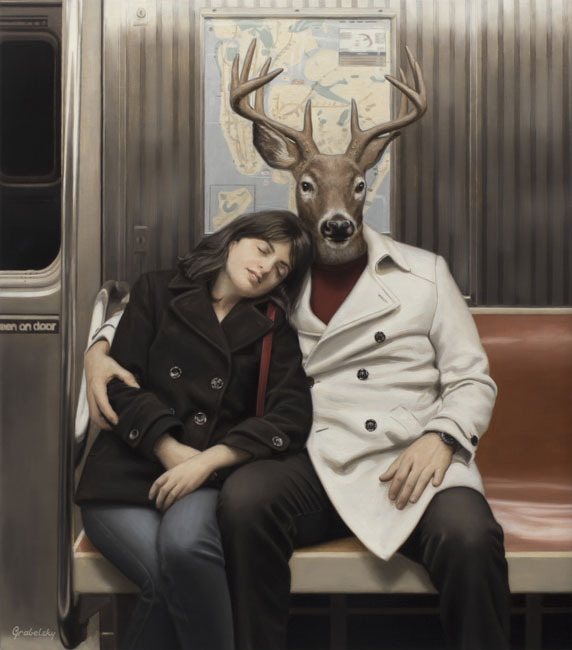 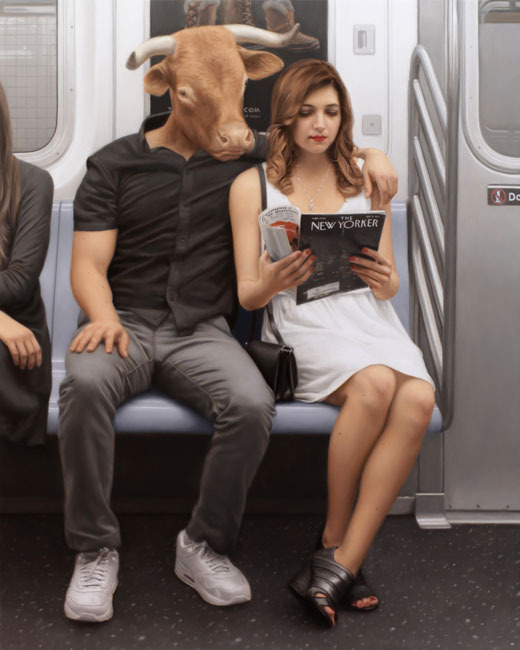 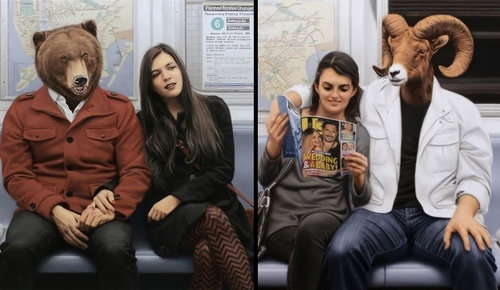 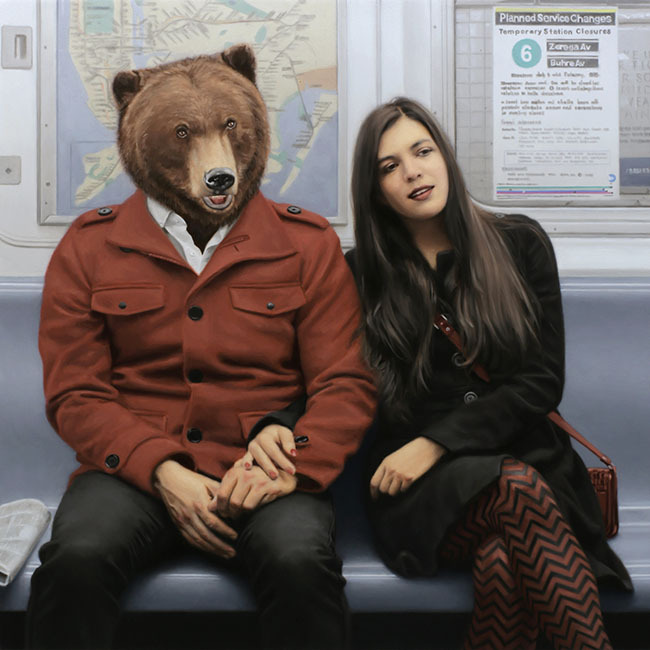 With a BA in Art & Art History and a BS in Astrophysics, Matthew Grabelsky shows us his artistic credentials by Paintings these realistic scenes of animal - human hybrids, travelling on the Subway / Underground, in New York. 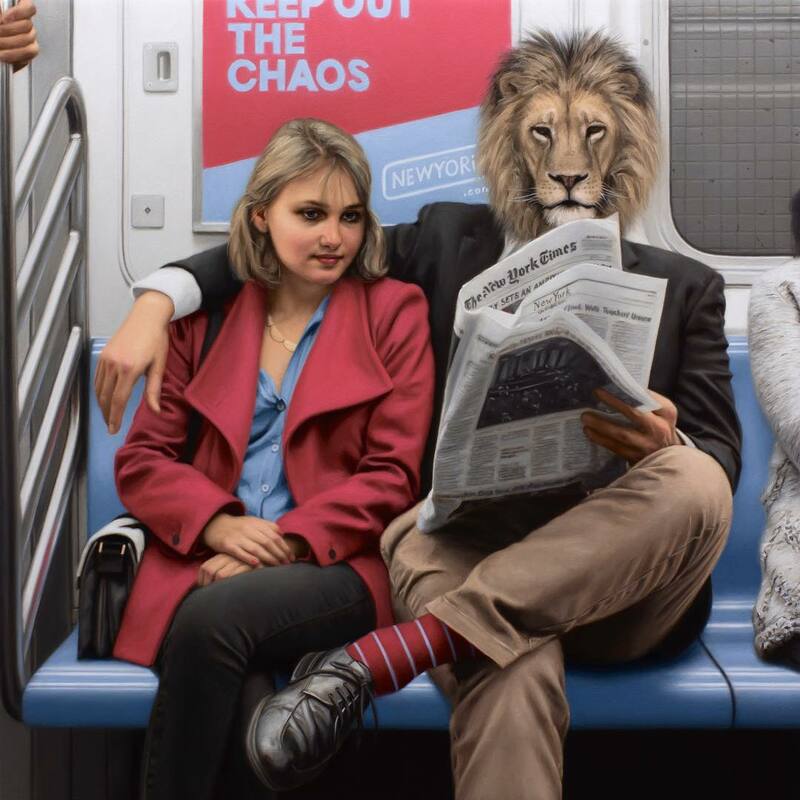 If you have a look at the paintings with the lion head, the detail that he is able to paint on the newspaper portion of the painting, is just amazing. 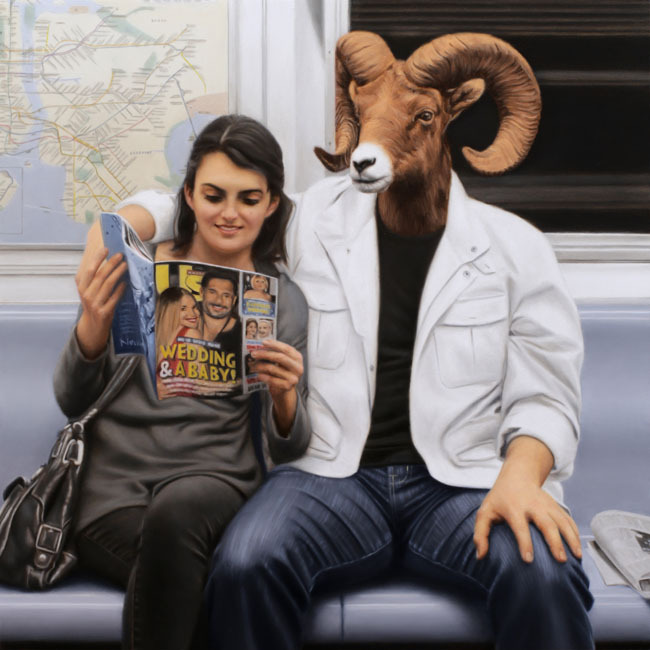 Details and life like colours are what make these paintings so realistic and mesmerising to look at. 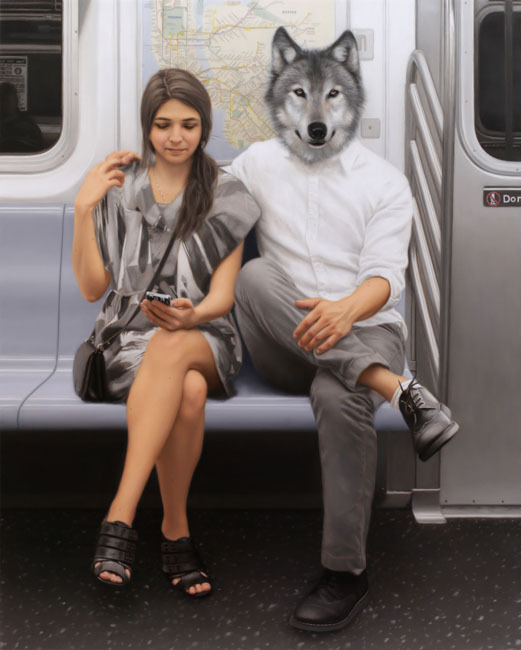 Lexington Avenue Local - Wolf. 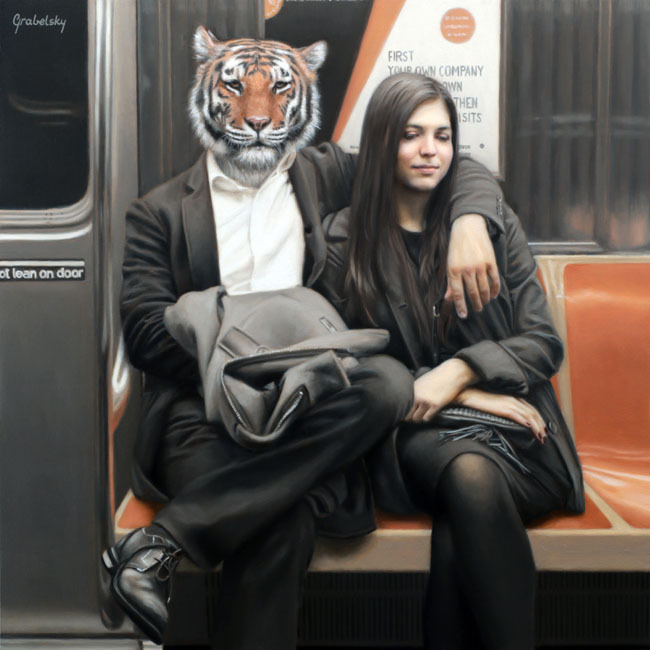 1 To Penn Station - Tiger. 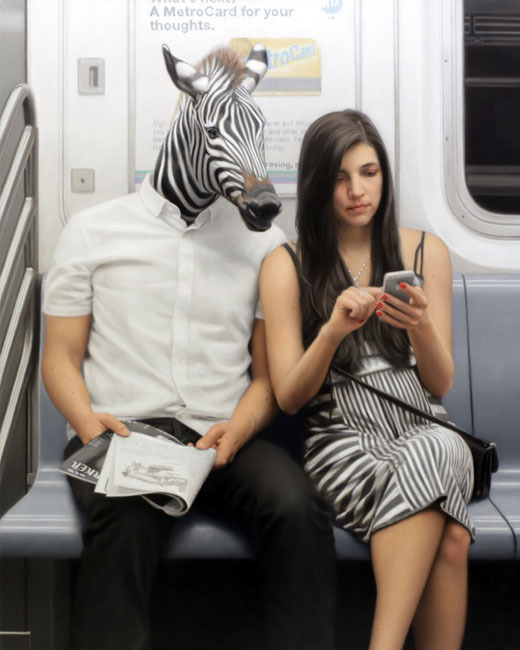 Exit At Union Square - Zebra. 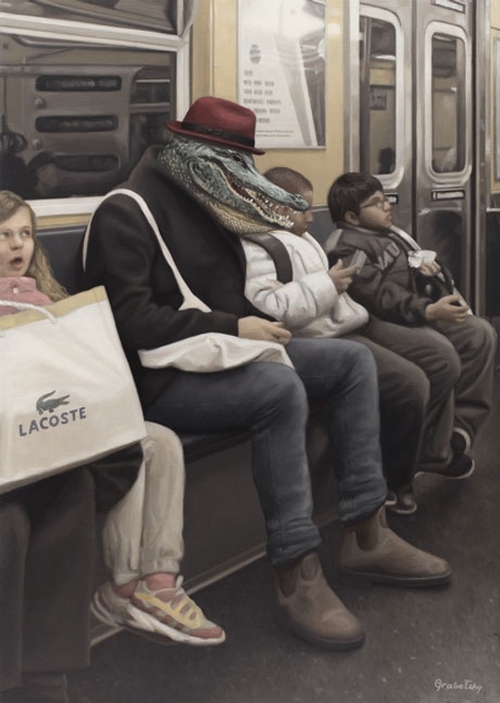 I Spy The Alligator Man.